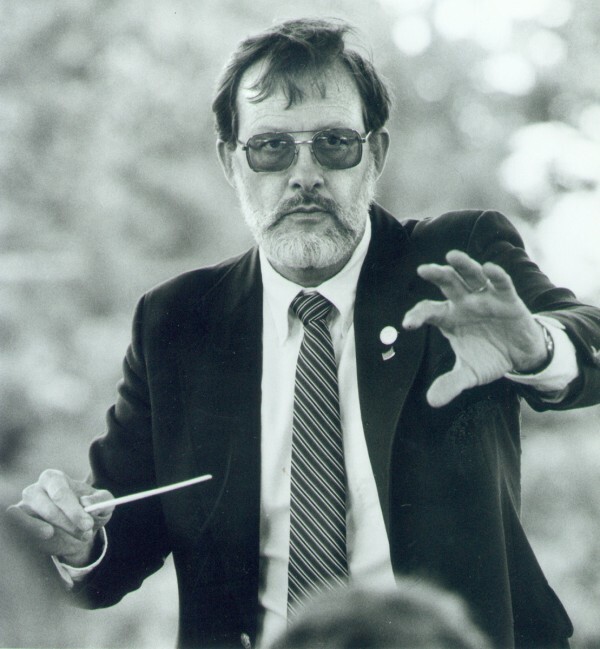 Gordon W. Bowie, former conductor of the Bangor Band, died Jan. 5, 2012 at the age of 67, after a long fight with cancer. This black and white photo was taken in Bangor on July 1, 1992. BANGOR — A former conductor of the Bangor Band and member of the Bangor Symphony Orchestra has died. Gordon W. Bowie led the community band from 1985 to 1997 and played bass trombone with the symphony for 32 years. He died Jan. 5 of prostate cancer at the age of 67. A memorial service was held Jan. 14 in Bethesda, Md. Bowie and his wife, Mary Bowie, moved to Washington, D.C., from Bangor in 1997. In addition to conducting the Montgomery Village Community Band in Montgomery Village, Md., he performed with the Virginia Grand Military Band, the National Concert Band of America and the Legacy Brass Quartet. He also worked as copyright examiner in the performing arts division of the U.S. Copyright Office in the Library of Congress. “He was a fine musician and an excellent conductor,” Lori Wingo, president of the Bangor Band, said Saturday. “He always had high expectations for the band. He was a very demanding conductor but also a teacher for band members. Bowie composed several marches for bands including the “USS Maine,” commissioned for the christening of a Trident submarine., and another for the U.S. Army college in Carlisle, Penn. Hall was the subject of Bowie’s doctoral dissertation, she said. He earned his PhD in music in 1993 from the University of Maine. After moving to Washington, D.C., Bowie returned to Maine nearly every summer, according to Wingo. When he did, he took the baton and led the Bangor Band. The last time he conducted the band was in the summer of 2009. “The weather was awful all day,” Wingo said. “It would pour down rain, and then, the sun would come out. We knew Gordon was ill and that this most likely was the last opportunity we’d have for him to conduct us. Donations the the Montgomery Village Band in Bowie’s memory may be sent to Montgomery Village Foundation, 10120 Apple Ridge Road, Montgomery Village, Md. 20886. Checks should be made out to the Montgomery Village Foundation with “MVCB/Gordon Bowie Memorial Fund” in the memo line.